Knowing how to choose the best furniture for your home is crucial. This is what’s going to define the way you feel while staying at home. The furniture is the single most important thing that you would have to consider – with all its details. This means that you are going to have to decide on couches, sofas, beds, wardrobes (all the way to the ceiling and floor types), lights and even electrical devices, like fridges and kitchen utilities. This is why it’s important to have some sort of a strategy and initial idea of the way you want your home to look like. This is going to help you navigate through the immense amount of options which are currently on the market and pick the one that is best for your personal taste. The first thing that you want to understand is that your furniture should be durable. It’s meant to be there for a long time. With this in mind, it’s advisable to avoid particleboard as well as frames made out of light aluminium, for instance. It’s highly recommended to stick to solid wood. Of course, this is likely to cost you a bit more, but you would definitely get the return on your investment because these pieces are made to last. It’s also something that’s going to ensure your safety and the safety of your family members, guaranteeing the comfort in your home. Make sure to furnish your home in a fashionable way. Regardless of what’s trending right now, you should pick a style which suits you personally. The type of furniture that you decide to buy is going to make a statement and leave an impression on anyone who enters your home. This is why it’s important to make sure that you choose wisely. Make sure that you pick something that is definitely going to stand the test of time. The last thing you want is to refurnish your home after a year. If you want to go for something interesting and unexpected, always look for furniture pieces that are unconventional. This is a way of saying that you are a person who’s willing and able to think outside of the box, and it’s definitely something that will make an impression on your guests. Make sure to keep everything in control, though, because a lot of novelty furniture can lead to the exact opposite. 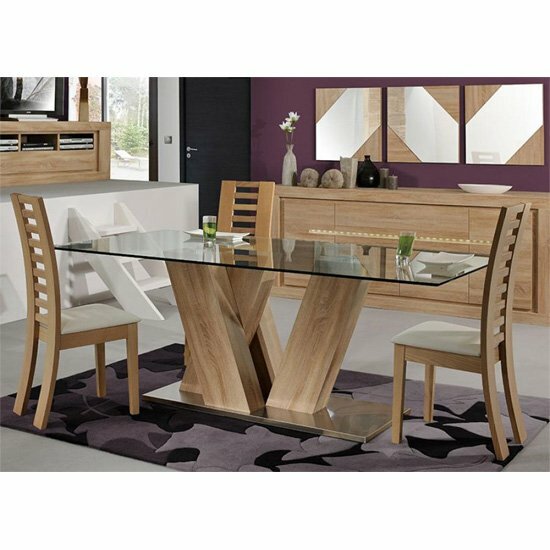 Follow FurnitureinFashion’s board Dining Table on Pinterest. The finish is the top layer of your furniture. You must make sure that it’s properly complementing the current design pattern of your home. You can follow the trends online or in designer magazines if you are unwilling to pay a designer to take care of it for you. You should have a purpose for every piece of furniture in your home and avoid putting up things which are only there to take up space. It’s definitely one of the things you need to consider if you are wondering how to choose the best furniture for your home.